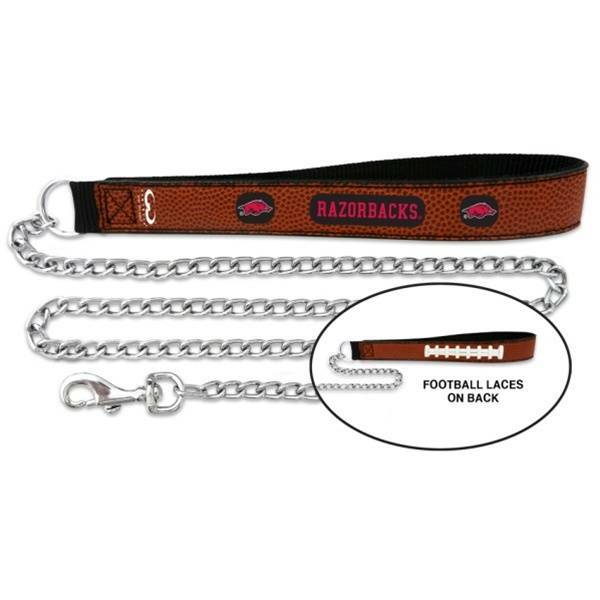 Officially licensed college football leashes from GameWear®. Each leash is handcrafted from football leather and laces, sewn to a nylon backing, and emblazoned with your favorite team’s logo and colors. Your pet can Wear the Game® like never before with these stylish, officially licensed college football leashes from GameWear®. Each leash is handcrafted from football leather and laces, sewn to a nylon backing, and emblazoned with your favorite team’s logo and colors. Get your favorite four-legged friend in the game!